I am retired Air Force Officer. 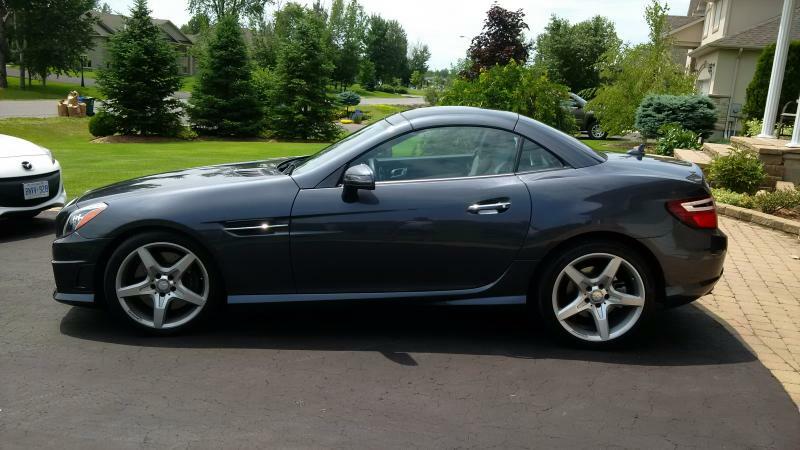 I have a 2012 Mercedes SLK350 that I bought 6 years ago. jbanks15, Dave54, LIL DON SLK and 7 others like this. Thank you for your sevice!!! Free Gift! : Post your vin in the Vehicle Datacard Request section to get a free datacard (options on your car). Hi and welcome from Lakeland, Florida USA! Thank you for your service !! Welcome from North Carolina and thank you for your service! Hi, welcome from Barrhead, Scotland. Want to ‘like’ or thank’ someone’s comments? Use the ‘like’ button to the right or the ‘Thanks’ button, bottom right of any post you like. This saves you having to comment or use the 'quote' button so we know who you are asking or replying to or referencing. 5 Attachment(s) New member - 1st car!